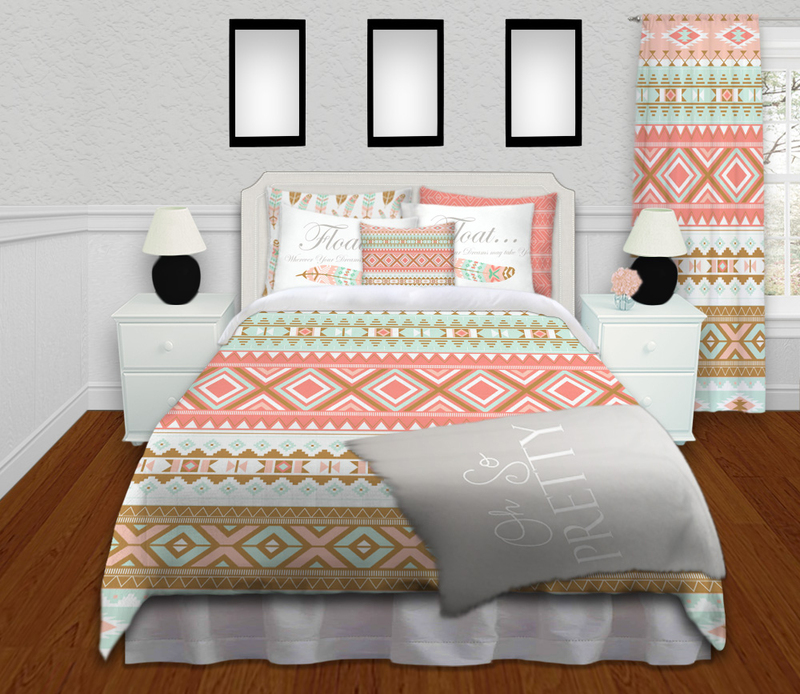 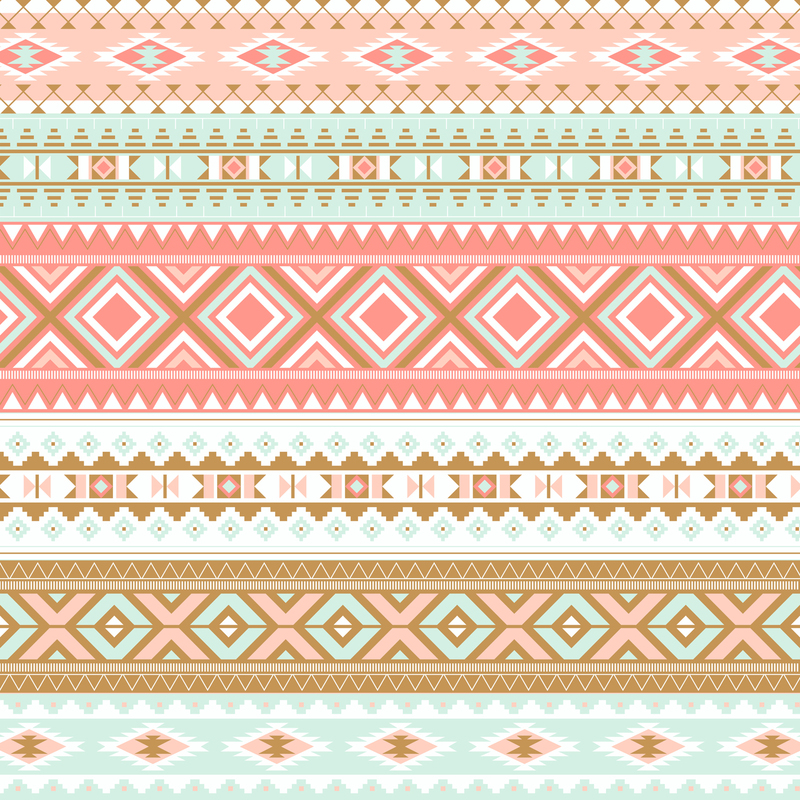 Our “Tribal” Bedding is a Pretty mix of Coral and Mint to create a neat Bohemian Print. 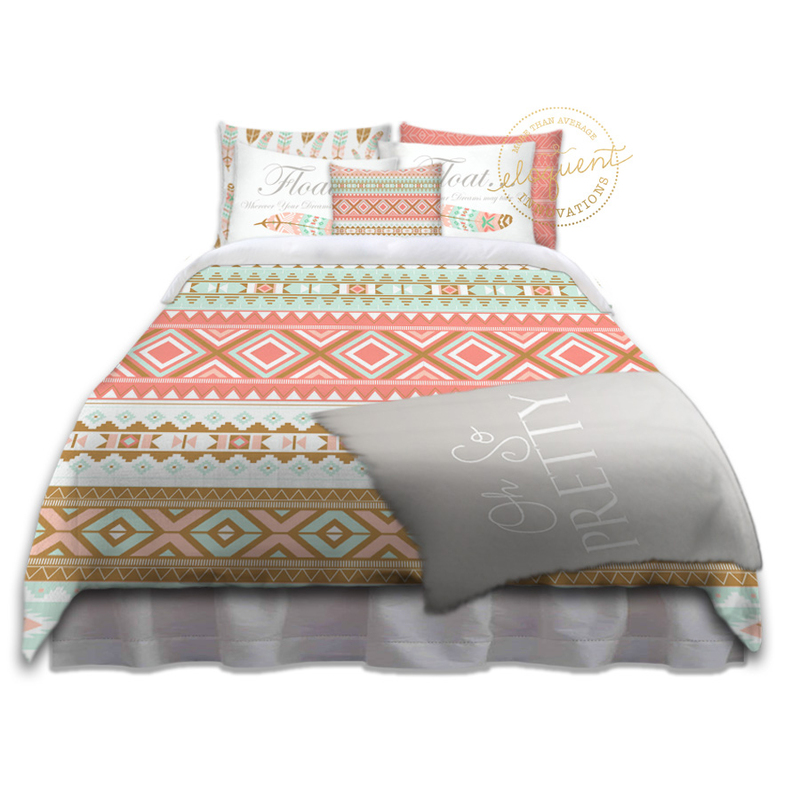 Enjoy the array of colors in this Bohemian Style Bedding with it’s rich coral, mint, and gold accents. 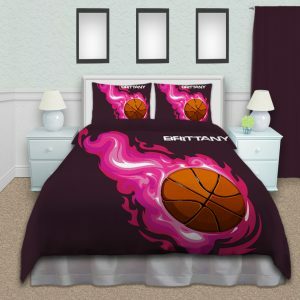 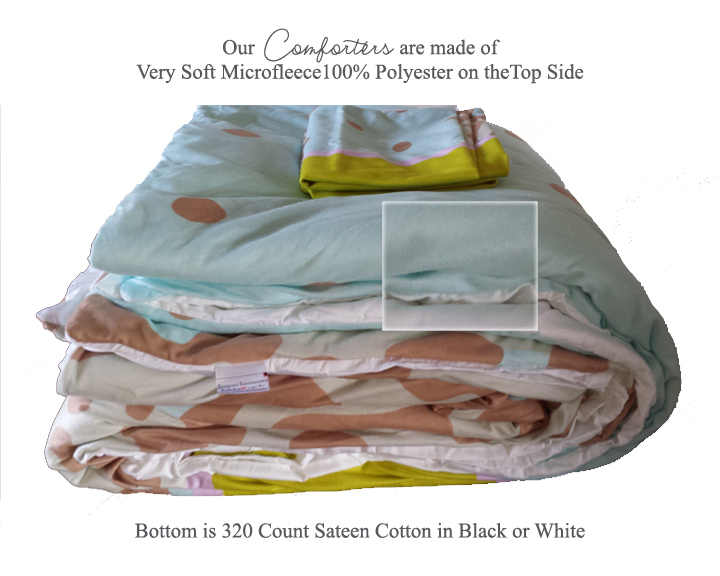 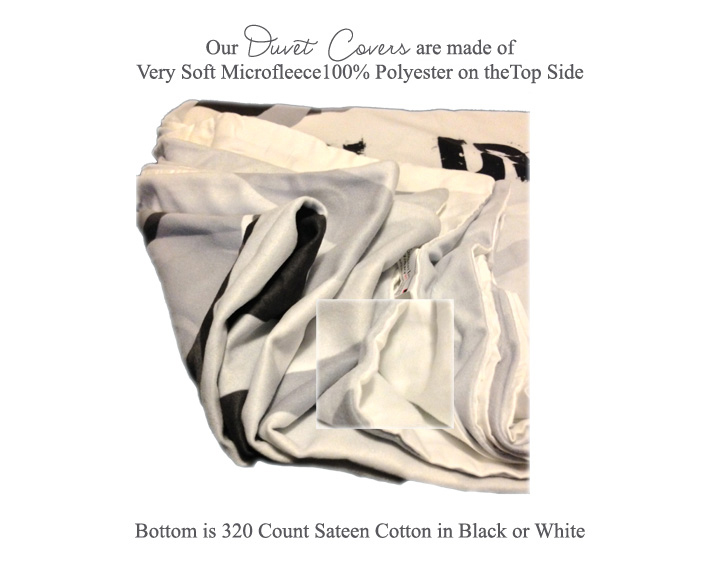 What’s so Great about this Bedding?